Pete Babineaux, P.T. and Judd Gautreaux, M.P.T, P.T. Patients are seen only on referral by a physician or through a home health agency. What makes Physical Therapy Clinic of Rayne unique? We are large enough to serve all your needs, but small enough to know all our patience on a personal level and provide quality one on one physical therapy. For over 20 years, we have provided outstanding service using a “team” approach with involvement of the physician, therapist, and patient working together to achieve the maximum benefit with the patient’s well-being in mind. Lendell “Pete” Babineaux, PT, and Judd Gautreaux, MPT, PT are dedicated physical therapists devoted to the well-being of their patients. 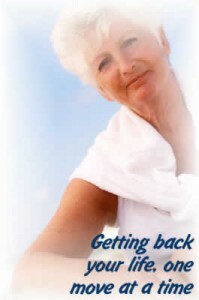 They are also available for home health treatments through our home health affiliates.